Remember the Buffalo Sabres squad that went 6-17-4 in its first 27 games, essentially taking all of the suspense out of the entire season in less than two months? We haven’t seen that team very often in the last few weeks. 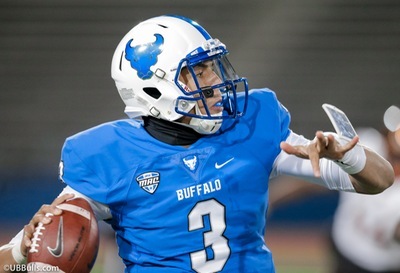 Buffalo has gotten its level of play up to mediocre on most nights. But Wednesday was not one of those nights. 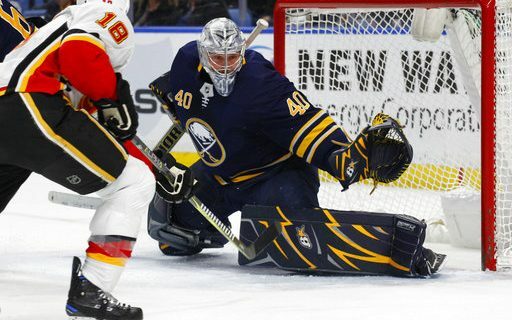 The Sabres returned to early-season form in a 5-1 loss to the Calgary Flames before 17,773 in the KeyBank Center. Trust me, it wasn’t that close. The defeat came only 48 hours after an exciting win against the Toronto Maple Leafs. It looked as if the team had little in the tank from the start. Good teams play well night after night, and this Sabre team was unable to sustain a high level of performance for a second consecutive game. It didn’t take long for the Flames to set the tone for this one. Calgary looked like the faster, more skilled team right from the start. Keep in mind that the Flames came into the game 32-25-10, so they have lost more games than they’ve won this season. But Calgary was ready for this one. It didn’t take long before that edge turned into a margin on the scoreboard. Sam Bennett capitalized on some chaos around the Buffalo net in which Chad Johnson got turned around at one point. Mark Jankowski followed a few minutes later with a shot that Johnson probably should have stopped, but on the other hand the Sabres let the Calgary forward get free in the slot. Johnson compensated for that with some big saves later in the period. Considering that the shots were 17-6, Calgary, in the first 20 minutes, a 2-0 lead might have been smaller than it should have been. The bad news for the Sabres turned worse in the second period. Mark Giordano’s shot from the blue line hit a Sabre and went past Johnson for a 3-0 lead. Then Calgary put on a dazzling passing play that looked like something out of a practice session with no defenders. Sean Monahan finished it off from the right side by drilling the puck into a mostly empty net. Johnson was mercifully excused for the rest of the evening, as he missed a chance to earn another win against his old teammates. Dougie Hamilton finished off the scoring for Calgary late in the second period against Robin Lehner. From there, the Flames and Sabres played the third period as if they were in a hurry to move on to the next game. About the only noteworthy part of the final 20 minutes was Casey Nelson’s goal for Buffalo in the final seconds that spoiled the shutout. But really, all that did was give the remaining handful of fans a chance to cheer for once. Normally, this was the sort of the game that would result in a long practice, perhaps without any pucks. Instead, Buffalo will go back to work in Ottawa against the Senators.